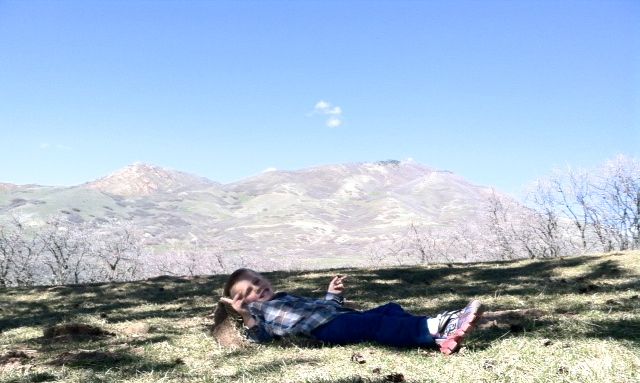 We left this morning and headed down south about an hour to Mapleton, Ut. There is a lot of farm land in this area and it is absolutely beautiful. The views of the mountains were breathtaking. Too bad my husband works in North Salt Lake or this would be perfect place to have a little farm. Guess I am still looking. There was a small gathering of family to celebrate Easter. 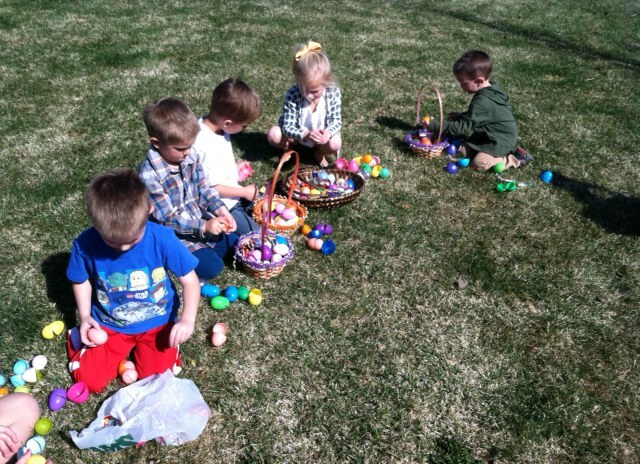 There was an egg hunt and a nice lunch. All the food was delicious. I actually ate my first homemade bagel…. and wow! It was amazing. The boys love hunting for anything! They had a great time with all the other kids! It is hard this time of year, kids are bombarded with candy everywhere they go… school, church, friends etc. It is especially bad around the holidays. But socializing includes some sort of letting go right?? So I let the boys have a few pieces of candy and then we play a game. I have them trade me for something cool. They both gave up each of their bags for something better…. maybe it is a cool truck, or too stay up late an extra 20 minutes, or to make a fun craft with Mommy, or to play a game with Daddy. Right now Grant is really excited about gardening and so he is very motivated to help me with the seeds. I think negotiating is part of being a good parent. Both parties need to be on board so everyone is happy. Which means parents really need to spend time with their kids to know their little “itty bitty” interests. My boys are very different. I don’t always parent them the same, but I know what makes them individually happy! Happy kids will give up candy willingly! It is hard to believe I know! 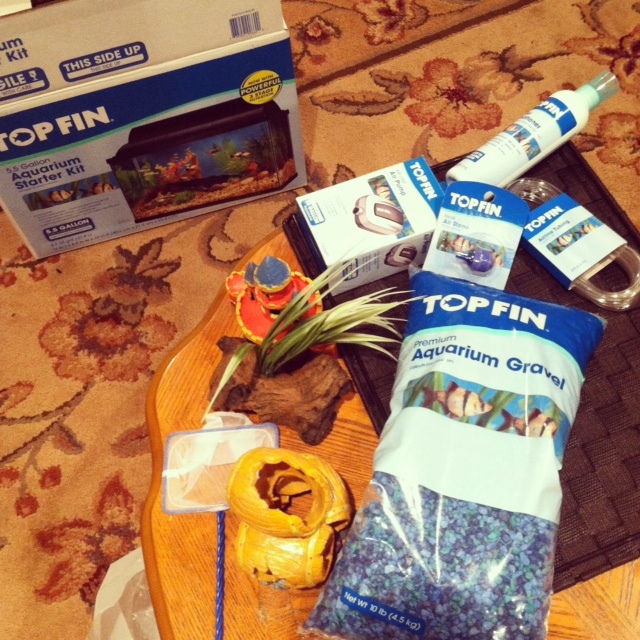 We will pick up the fish on Monday. They each get to pick 2 Tropical Fish. Until then… we have to get the tank ready. 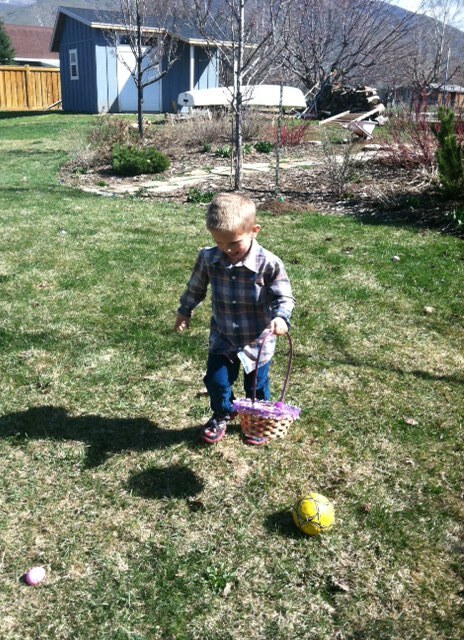 And no… the Easter Bunny is not setting it up for them (thank goodness!). Assembling the tank will be our morning activity. The boys learn by participating… even if it takes twice as long and there are a few tears of frustration. I think games are great presents for any occasion. 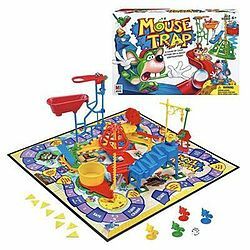 I remember loving this game as a child. It is so fun. You can find it HERE and most health food stores. These are SOOO good! My kids LOVE them! No artificial colorings, no artificial sweeteners, no preservatives. It is possible to find healthy treats. You just have to look a little harder and past all the junk that is surrounding us at most grocery stores and food marts. After the Easter party we took the boys to a nearby park to run around. They didn’t even play on the playground. They ran up and down the same hill over 15 times! 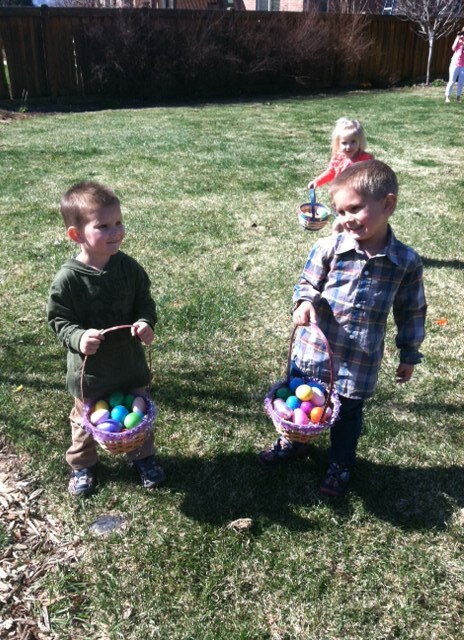 Little energizer bunnies!! Florida doesn’t have these kinds of hills. 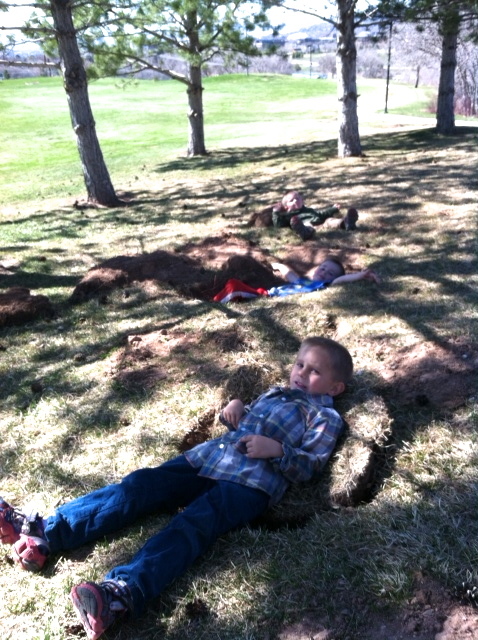 After the running and the kite watching, the boys settled down a bit and found a few holes in the ground. They thought these were the coolest things. The three of them found a little plot and took a short rest. My favorite moment of the day. 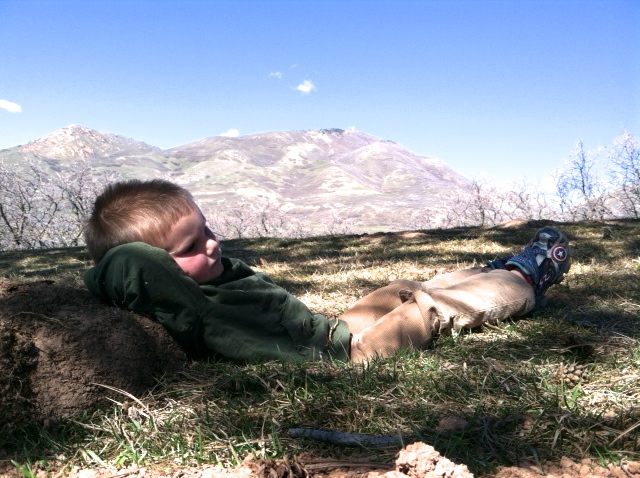 Total peace and contentment.